I recently received an email asking what I think of the value of sensitivity drills and figured the topic would make a good blog post. This is somewhat controversial, as a number of traditional martial arts rely very heavily on such drills, and most sport and MMA fighters consider them to be completely ineffective. For those of you who don’t know what sensitivity drills are, they are a little difficult to define. I’m not certain about this, but I think the term may have come from Dan Inosanto or someone in the Jeet Kune Do Concepts area, where it was applied to drills like chi sao in Wing Chun, hubud in Kali, pushing hands in Tai Chi, and so on. The drills tend to take place only at one particular range, and are designed to train reactions to different energy your partner “feeds” you. The idea is that you become more sensitive to your partner’s energy or force, and learn to respond to it with techniques from the system you’re studying. If you search YouTube for chi sao, hubud, or pushing hands, you’ll find many examples of such drills. 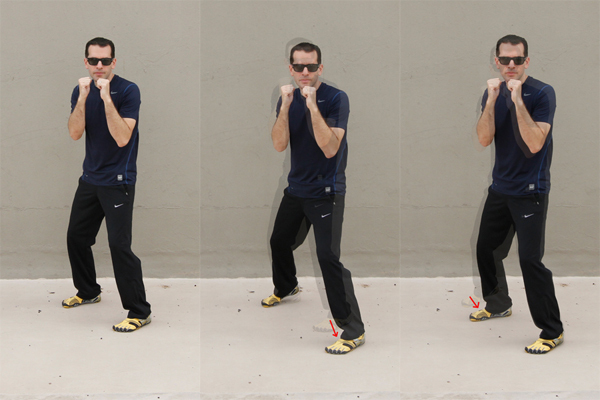 The term sensitivity drill is usually applied to drills that don’t closely resemble actual fighting. Although a training drill that works particular counter punch responses to a jab, a cross, and a hook could also be viewed in terms of reacting to energy or techniques fed by your partner, I’ve never heard anyone call such training a sensitivity drill. From my perspective, it’s possible that the term sensitivity drill was invented to give purpose to drills that are at least a step or two removed from actual fighting…they don’t teach you how to fight, but they increase your sensitivity or qualities that you can use in fighting. 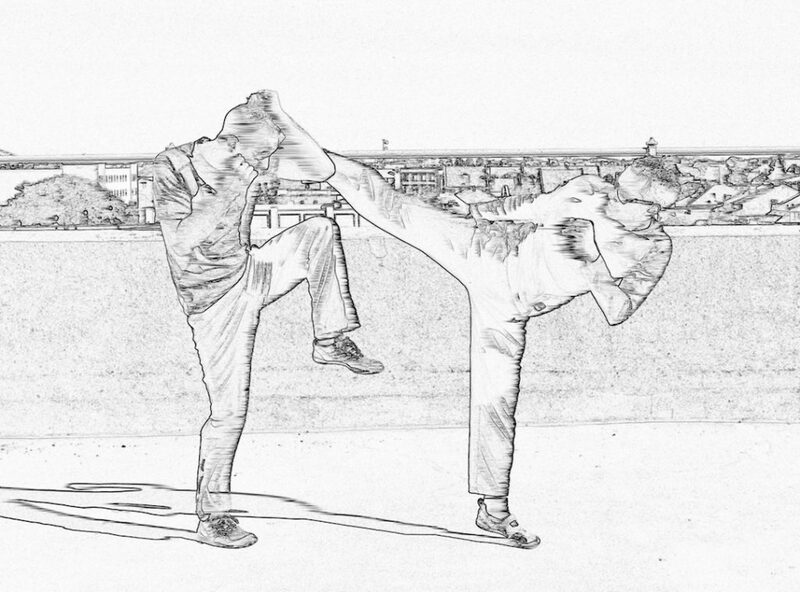 In the JKD Concepts area a distinction is also made between “self preservation” training and “self perfection” training. The sensitivity drills are considered to be self perfection training whereas sparring or drilling techniques in a realistic context are considered to be self preservation training. First, I trained and taught such drills for many years. At the time I felt they were beneficial. I learned concepts from the drills, honed techniques, and eventually applied some of them in sparring. So can a person learn something from sensitivity drills? Certainly. But the question I asked myself as both a practitioner and a teacher was, are sensitivity drills the most efficient and effective way to learn whatever is supposed to be taught through them? The answer is no, at least with respect to the drills commonly grouped under that term, and the way they are practiced. Furthermore, most sensitivity drills also ingrain bad habits. In my experience, using sensitivity drills to train techniques and qualities is like using a screw driver as a hammer. You can hammer a nail in with a screw driver, but a hammer would be a much better tool for the job. 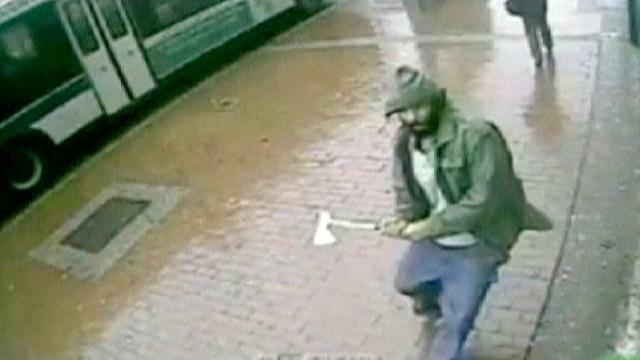 The hammer would not only be a more effective tool, but it would also be a lot faster. Think about what it is that you’re trying to train or improve with any given sensitivity drill. Does it actually provide benefit in a real fight or self defense situation? If it does, then think about how you can best train it. Most if not all sensitivity drills I have seen, practiced, and taught, include techniques or combinations of techniques that would not work against a fully resisting uncooperative opponent. 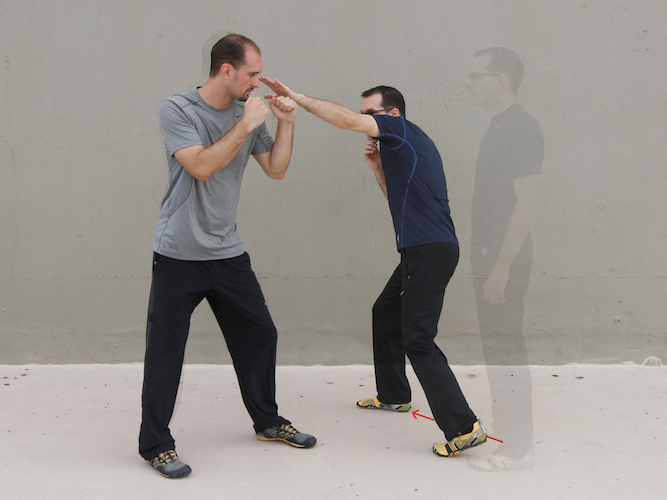 Some of the drills have almost zero resemblance to actual fighting or self defense. 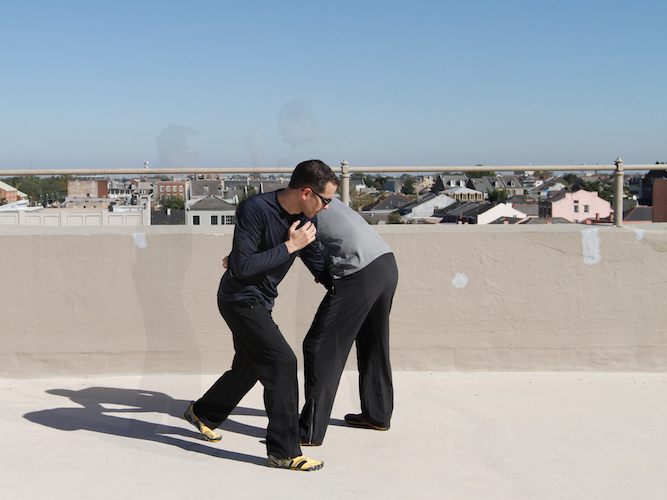 If your goal is to increase skills that can be used in a real self defense situation, then your training drills should mirror what actually happens in a self defense situation as closely as possible. Does the above image look even remotely similar to what you might see in a fight? Unless you’ve been brainwashed, you will have to admit that it does not. 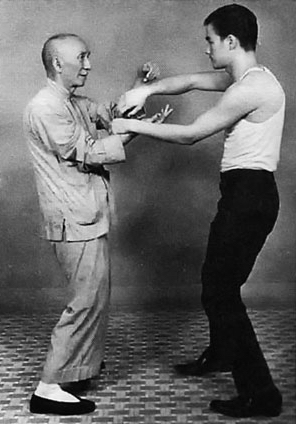 This is exactly why Bruce Lee moved away from such drills and into western boxing. You can learn techniques and concepts through chi sao that can be used in real fighting or self defense, but if you pull those techniques and concepts out of the drill you can train them exactly as they work in reality in a more efficient and effective manner. Let’s take a look at two skills people try to increase through chi sao training: controlling and dominating the centerline, and trapping your opponent’s limbs to prevent his offensive and defense. Both of these skills can be trained exactly as they would be used in self defense, in a scenario based context. Both of these skills can be practiced in the context of sparring. 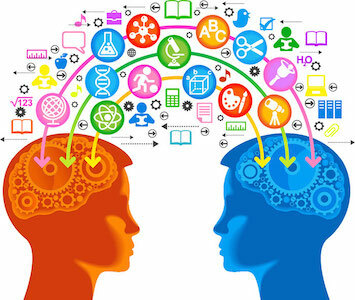 My goal in teaching is to provide students with the most efficient and effective path to functional skills. Rather than learning to trap an opponent’s limbs through a drill that has no resemblance to actual fighting, why not learn to trap an opponent’s limbs in a drill or in training that exactly mirrors fighting? I can’t think of a single good reason. Of the two following images, which would be a more functional place to learn to trap your opponent’s arms? Which would be more likely to lead to skills that you could actually use against an opponent? Both are contrived for the purpose of training, but one is more realistic than the other. At this point in my teaching and training, I’m fairly certain that anything that can be learned from sensitivity drills can be learned more efficiently and effectively from training methods that more closely resemble actual fighting or self defense situations. I can get a student to be able to use trapping much faster in the context of boxing than in the context of chi sao. I’m not implying that techniques from Wing Chun, Kali, and Tai Chi can’t work in self defense. I use and teach trapping that can be found in Wing Chun and Kali, and techniques that can be found in Tai Chi. My book is full of them. 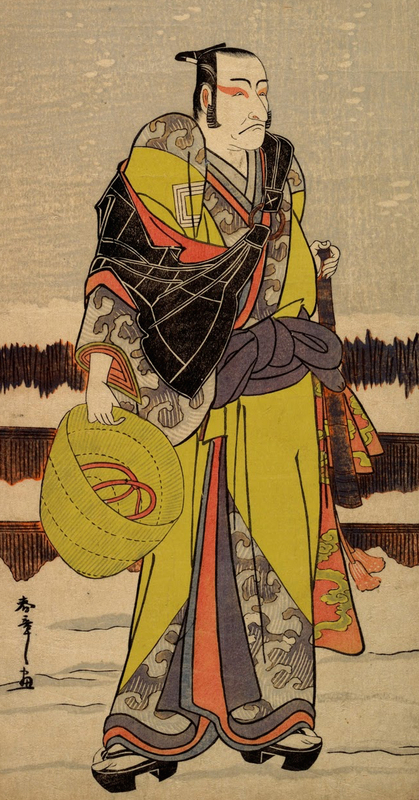 But many people don’t recognize them because the context is different from the context they are traditionally taught in. The traditional context is in my view something that slows students down rather than speeds them up. In the context of a stylized dojo I can understand how such training could evolve. But just because many people do it doesn’t make it ideal. What are your thoughts on this? Can you think of a quality or skill that would be better to learn in a sensitivity drill than in a more functional/realistic training context? If so, please let me know in the comments. Deception is one of the most effective tactics you can use in self defense, and using it well will allow you to attack where your opponent is unprepared, all but guaranteeing your success. 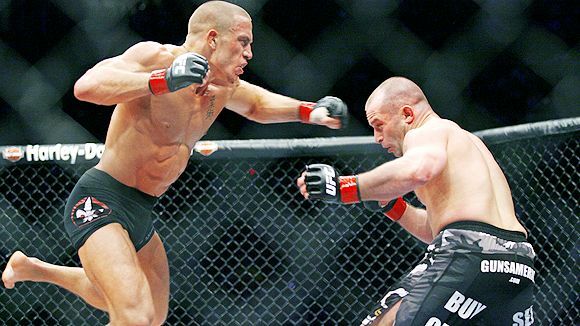 In MMA or fighting sports, deception can be used on a variety of levels. You can “hold out baits” by leaving certain targets exposed, you can “seem unable” by faking a minor injury or stumble, you can “seem inactive” while actually waiting to ambush when your opponent attacks, you can fake high and hit low, and so on. But in fighting sports your opponent knows you are there to fight, and he likely knows a good bit about you, your skills, and your fighting style. In self defense on the other hand, particularly against an unknown assailant, there is no limit to the types of deception you can use. In a real self defense situation your opponent will have no idea if you will fight back. In fact, in many cases your opponent will probably assume you will not fight back, otherwise he would have chosen an easier victim. By “pretending to be weak”, acting as if you will not fight back, you can viciously attack your opponent when he does not expect it. 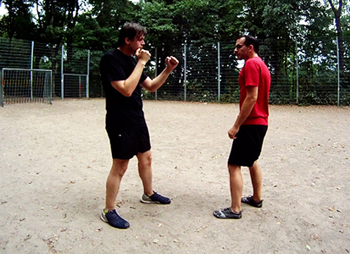 Adopting a fighting posture may help to dissuade an attacker in some situations. If he believes you are more than he wants to deal with, it may work. But if you’re pretty certain that you’ll have to fight, doing so when your opponent does not expect it is far superior to giving him cues that tell him to prepare himself. A guy walks up to you and for some reason he tells you he’s going to fight you. You back up a bit, get into a fighting stance, and signal that you’re ready. A guy walks up to you and for some reason he tells you he’s going to fight you. From a non-threatening posture you tell him you don’t want any trouble. Just as he begins to react to your statement you quickly and unexpectedly nail him with the most efficient and effective technique you can use. Or, you spray him with pepper spray and move out of his way. Which option do you think would be more likely to succeed? The truth is hidden within, a ruse is placed without, and in the end one is drawn onto the Path of Truth. In this way, all deception becomes truth. Every deception includes an element of surprise, when your opponent realizes that he has been tricked. Anything you can do to bring your opponent’s attention to one place in order to attack a place where he is unprepared is a successful use of deception. One great option is to throw something at your opponent’s face, any everyday object (coins, keys, a book, bag, etc. ), and then nail him as he reacts to your move. Everyone will react in some way to having something thrown at their face. They’ll turn away, close their eyes, attempt to block it, catch it, or even just move their head out of the way. This will create the opportunity for you to attack while your opponent is unprepared, to kick him as hard as you can in the balls, for example. In fighting sports there are not only rules and limitations on permissible techniques, but certain conventions in terms of what techniques are used and how. There are particular sets of techniques that are used in every system, from judo and Brazilian jiu jitsu to MMA. But in self defense there are no rules. There are no limitations as to what techniques or weapons you can use. However, there are general expectations that your attacker will likely have, and violating those expectations can be an incredibly effective tactic. When the vast majority of people think about fighting, they think about the classic techniques used in MMA, a combination of what is basically boxing/kick boxing/Thai boxing and wrestling. I’ve trained in MMA gyms, and in my experience everything MMA fighters do is geared toward punching, kicking, and wrestling. They don’t practice otherwise, and they don’t expect otherwise. 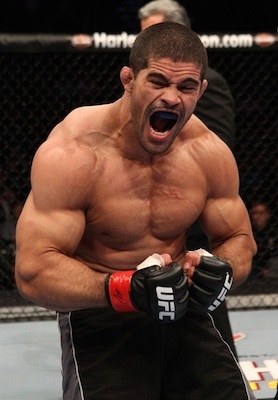 Although techniques like eye strikes and groin slaps aren’t magical moves that will allow you to beat anyone, as you still need to understand and be able to manipulate distance, position, timing, etc., they are extremely effective, and equally important, they are unexpected by the vast majority of average people and fighters alike. 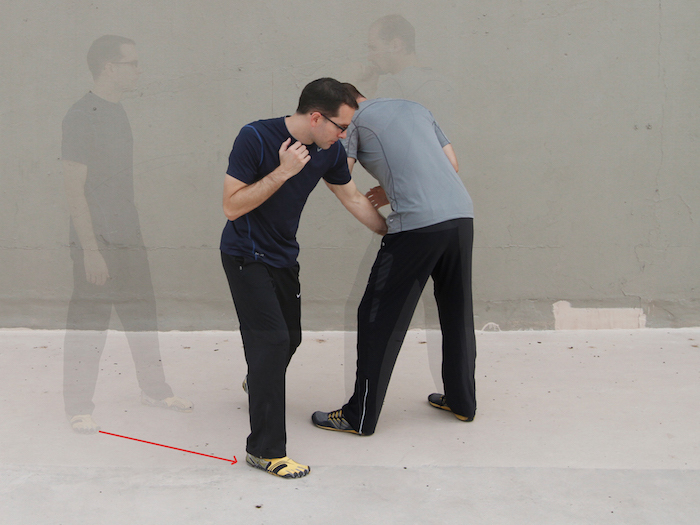 The triangular footwork that you can use with eye strikes and groin slaps is unexpected by most people, and when combined with the unexpected targets and the use of deception, they are excellent for self defense. Whenever you think about potential self defense scenarios, or even fighting/sparring scenarios, consider how you can use deception to your advantage. As Sun Tzu said, “All warfare is based on deception.” If you’re not using it, you are seriously handicapping yourself. Before you can successfully fight multiple opponents you need to be able to effectively fight or defend against a single opponent. You need to have effective techniques, realistic training methods, and a solid strategy. If you’re missing any one of those things, you may get lucky against a single individual, but it’s highly unlikely you’ll succeed against multiple opponents. So the first step is to have solid skills. 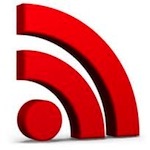 If you haven’t already read it, read my web page on self defense training. All of that applies equally and even more so in multiple opponent scenarios. So how do you fight multiple opponents one at a time? No matter what technique you attempt first, you need to use footwork that causes the opponent you’re currently dealing with to block the other opponent’s path to you. If you’re facing two opponents this isn’t that hard, however, it becomes harder and harder to maintain as time progresses and/if you get bogged down with one. You need to train this to get accustomed to it. A good drill to start is to face two training partners, tell one of them to try to touch you, and use the other one as a shield. Quickly move to put the “shield” between yourself and the man trying to touch you. You’ll see that this gets tiring very quickly, and becomes harder the more it goes on. Progress to doing boxing style sparring against two partners, where you train to line them up so you only fight one at a time. Then add kicking, clinch, ground, etc.. Obviously you’ll want to avoid clinch and ground against multiple opponents, but your opponents need to be able to try to grab/clinch you, and you need to be able to defend against those attempts. My grappling defense works very well to stop a clinch/takedown attempt. Many techniques that aren’t typically done with triangular footwork can be, or you can strike and then quickly use such footwork to get you to the opponent’s outside. Another way to line up opponents is to force them into having to line up for you. If you’re standing near a doorway or hallway for example, you can quickly sprint through it and stop, creating a situation where the opponents can only get to you one by one. Training to blast through a “line” of opponents, escaping to a strategic position, can also be a great training exercise. If you’re up against two opponents and you can quickly take one of them out, then you’ll effectively be fighting only one. If you’re up against three and you can quickly take one out, then you can line up the other two. This is a great strategy in theory, but unless you have the element of surprise on your side (and hopefully you set things up that way), it’s not easy to take someone out with one shot, particularly if they’re moving, defending, or attacking you at the same time. Of course you should try to eliminate each opponent as quickly as possible, but make sure to still attempt to “line them up” in case your take-out-move fails. Using a weapon that you’ve trained to use well can vastly increase your odds in a multiple opponent scenario. 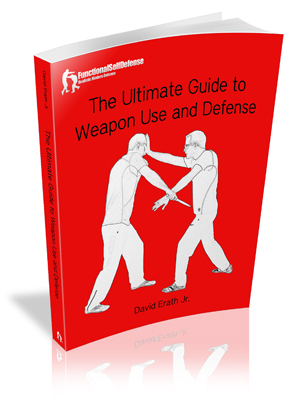 See my weapons page for more on using weapons in self defense. A weapon will allow you to take out your opponent’s quicker, and depending on the weapon you may be able to extend your reach, allowing you to more easily line them up. Projectile weapons (pepper spray, a bright tactical light at night, or a gun) and long range weapons (stick, machete, etc.) are the best choices for multiple opponent scenarios. When I first started training in traditional martial arts I had what I realize now was a misguided and silly idea, that weapons weren’t for real martial artists. 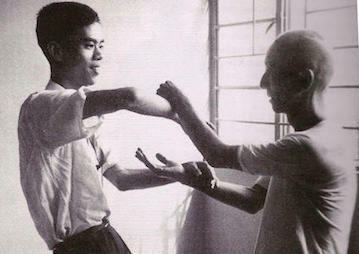 Many people who write me want to be able to use their unarmed martial art in all situations. But that’s just not realistic. There are many situations that would be difficult if not impossible to survive without the use of a weapon. For that reason, I highly recommend learning to use them, and using them whenever you need to. If you’re attacked by multiple opponents, that would certainly qualify. The best option if you’re facing multiple opponents is not to fight them at all. If you can avoid fighting, then you’re guaranteed not to lose. Remember, we’re talking about self defense here, not sports or movies. If you follow the advice on my awareness and prevention page, 99.9% of the time you’ll never have a problem…you’ll be able to stop the fight before it even starts. But if it’s unavoidable, then you need to use the element of surprise, take each man out as quickly as possible, ideally using a weapon, and line the opponent’s up so you can deal with them one at a time. Questions, comments, or thoughts? Let me know in the comments!